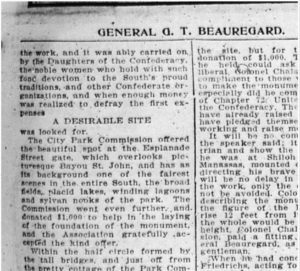 No Documents exist showing the Beauregard Monument Association Transferred the PGT Beauregard Statue to the City of New Orleans. 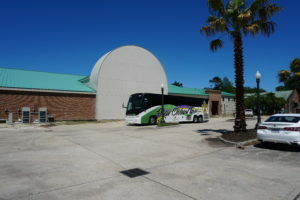 The Monument could have been placed across the street at Camp Nicholls Veterans Home which was build with private money. 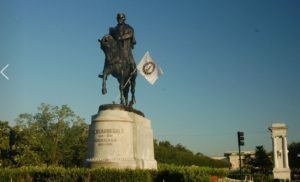 It is believed a motive for the City Park Improvement Association was the desire for a great piece of art at the newly created Monteleone Gate at Bayou St. John. 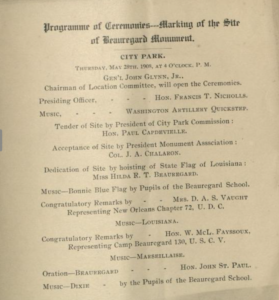 Numerous Documents Exist from 1905 to 1908 including the minutes of CPIA, a Tender Letter they wrote to the BMA in 1905, The Dedication Programs of the Land Ceremony, and the Newspaper accounts of the event. 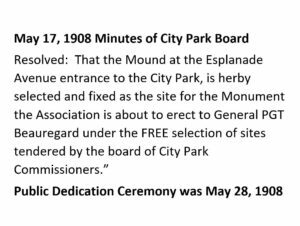 The CPIA Minutes from 1905-1908 report discussions and a passed motion to Tender the Land for Free to the BMA without an expiration date. 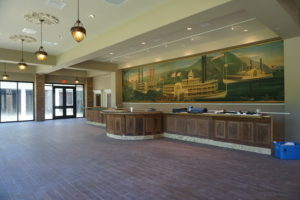 Today, City Park leases or tenders land to outside enterprises providing services at the park such as Coffee, Dining, or boat rentals. 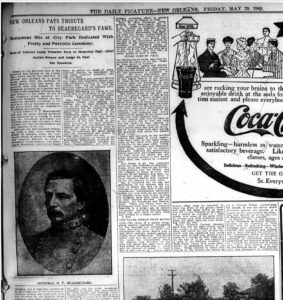 It is plausible that in 1905, the board "Tendered" meaning to give to lease for free Beauregard Circle to the BMA. 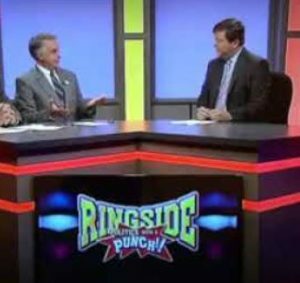 The CPIA minutes are on-line. 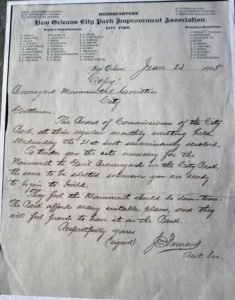 1907 CPIA letter to the Monument Association reconfirming the "Tender" of land known as Beauregard Circle by attaching the 1905 letter. 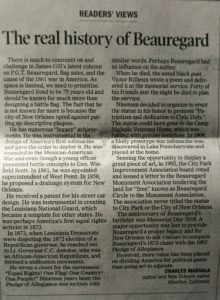 The Newspaper reported the tendering of the Land Ceremony, which was held on Beauregard's 90th birthday. 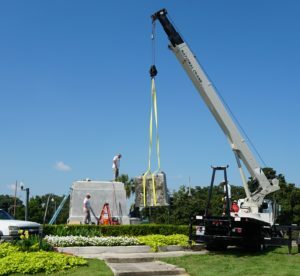 The Newspaper referred to it as "A Desirable Site"
In 2015, John Hopper commented on WRNO that City Park could not determined who owned the Circle, the pedestal, the Statue, or the Time Capsule. 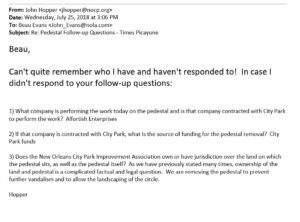 In July of 2018, John Hopper the Communication Director of City Park responded that the issue of who owns the Land, Pedestal, Statue, and Time Capsule was a "Complicated Legal and Factual Matter." 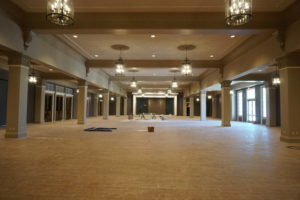 It was discovered that City Park spent over $100,000.00 in legal fees with its contract attorney to research the issue. 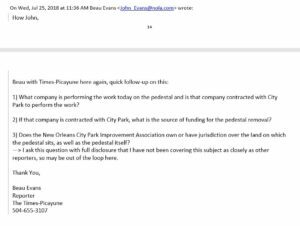 In August 2018, we filed Public Records Requests asking for a copy of the file and emails discussing the research. 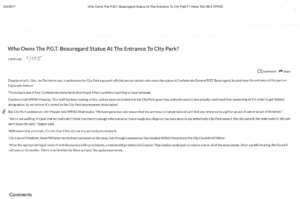 Any records collected, or organized, or filed, or in the possession of the City Park Staff regarding the transfer of ownership of the Statue of PGT Beauregard statue to the Park or to the City of New Orleans. 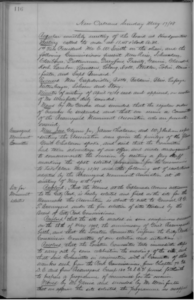 NOCPIA does not respond to requests for documents that a staff person may or may not have relied on. 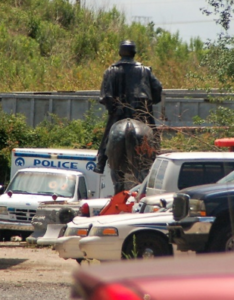 That would require a subjective speculative guess. 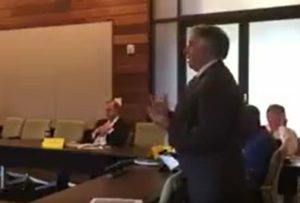 The NOCPIA board takes its responsibility to adhere to the Louisiana Public Records laws and has done so in the past and will do so in the future. 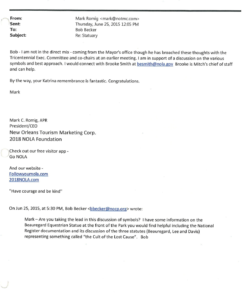 Six months after a Public Records Request, this email was produced. 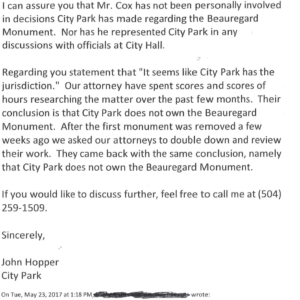 John Hopper stated on May 23, 2017 that City Park did not own the PGT Beauregard statue. 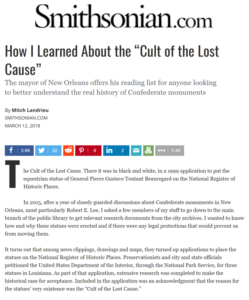 The Cult of the Lost Cause is proposed to Mitch Landrieu by Bob Becker. 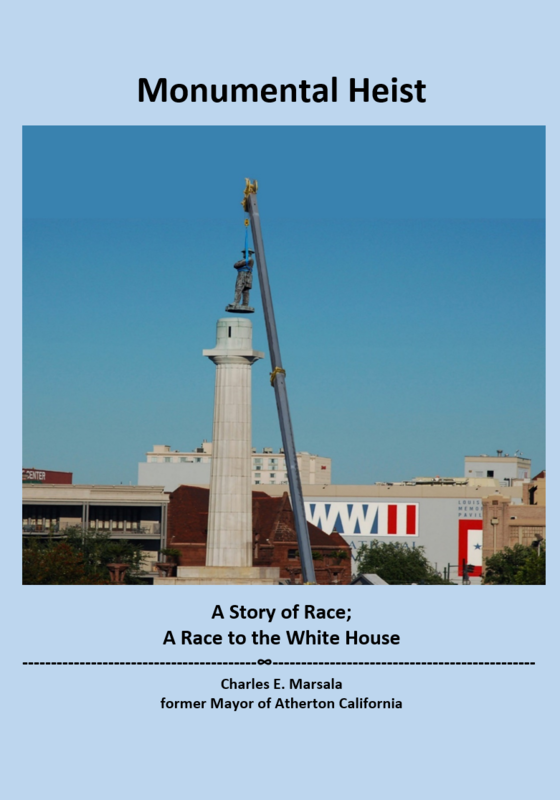 Mitch Landrieu uses this phrase in speeches and in his writings.